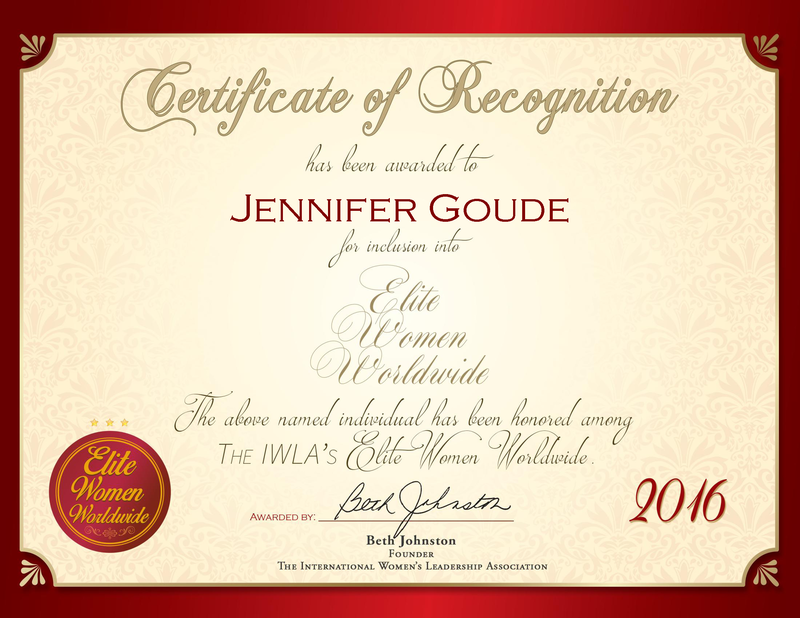 Conway, SC, June 6, 2016, Jennifer Goude, Owner and Operator of Budget Heating & Air, has been recognized by Elite Women Worldwide, for dedication, achievement and leadership in HVAC services. Fourteen years ago, Ms. Goude started working for Budget Heating & Air, and less than three years ago she assumed the role of full ownership and responsibilities. The company has been serving its customers since 1989. In addition to owning and leading the company, Ms. Goude is constantly out on calls, carrying equipment on to roofs, handled problem jobs and stood her ground against doubters. Ms. Goude points out that 1.5 percent of construction companies are women-owned, and only 0.5 percent of HVAC companies are, so she has had to prove herself. Prior to entering the HVAC industry, Ms. Goude had attended nursing school. These two fields have something in common; these professions focus on helping people. This is a value that she takes pride in, and she enjoys on helping others in her community. She inherited the business from her ex-father-in-law, whom she took over the business from once he retired. Her ability to manage employees in a respectful manner is evident from her people-person qualities. For the past 10 years, Ms. Goude’s mother has served on the board of the company. During this time, Ms. Goude has admired her mother’s work ethic and caring nature, and she aspires to carry on with those principles in the future. Ms. Gouda keeps the company active in the community by sponsoring many events at the local recreation center. Her business has been distinguished with the Outstanding Dealer of the Year award by various local supply companies, as well as the honor of being the Business of the Month from local banks. In the coming years, she endeavors to grow the business and have one or more of her three sons take over the business when the time comes.